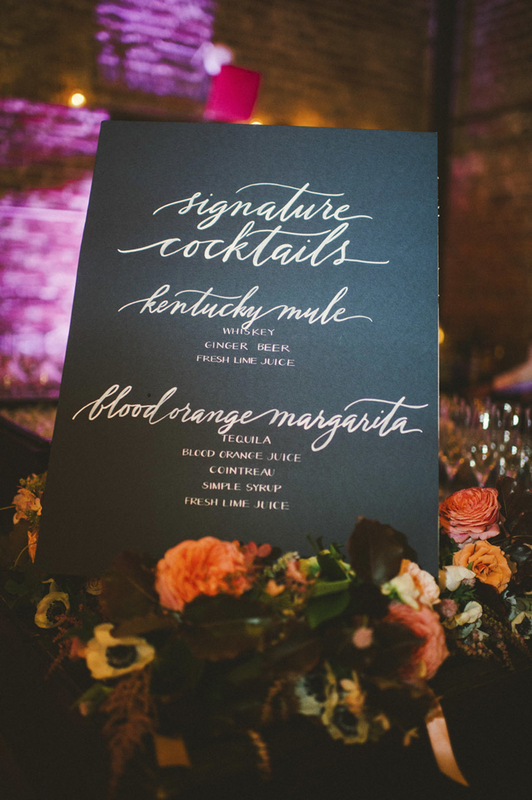 The cocktail hour can be an extension of your wedding theme, or it can be entirely different! Use it as an opportunity to throw a pre-party to the big party of the evening – offer fun drinks and appetizers, music, and entertainment to keep guests happy and having fun. Consider some of these ideas to make your wedding cocktail hour the best that your guests have ever attended! Don’t be afraid to think outside the box for appetizers – do you love milk and chocolate chips cookies? How about corn on the cob? Incorporate favorite childhood or present-day snacks into your cocktail hour for a personal touch and to provide comfort food that nearly nobody can say no to! A specialty-made cocktail solely for your wedding day always is a treat among guests. 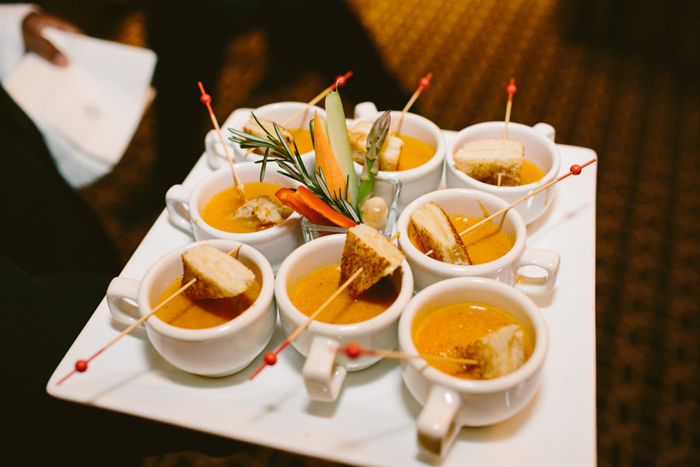 It gives them the chance to try a drink outside of their comfort zone while also celebrating a fun detail that was created for the bride and groom. Lauren Conrad offers a few great tips for creating a drink that’s true to you and your spouse’s personalities. A live band or musician can set the tone for the entire day/evening and liven up the crowd. If you’re looking for something more traditional, consider a string quartet or an old-time crooner that can belt out Michael Buble tunes like he’s the real thing. If you want something a bit more up-tempo, a traditional mariachi band is sure to get the party started and guests swaying through the hour. Everybody loves a photo booth! If you don’t want this activity to be a distraction during the actual reception, only make it available during cocktail hour. Be sure to provide fun props for your guests to get silly with. Whether or not your cocktail hour is taking place outside, consider setting up easy-to-assemble lawn games for guests (and children!) to enjoy during the hour. Popular games include bags, horseshoes or bocce ball. 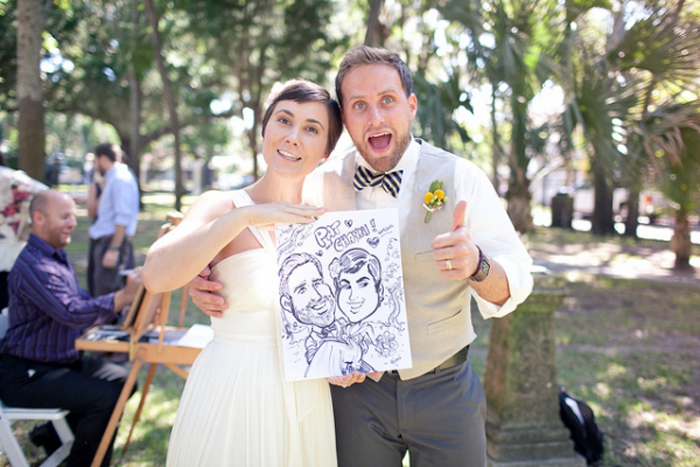 A caricature artist would be a great addition to any cocktail hour – guests will be excited to receive a larger-than-life drawing, which also can double as take-home favors. What better way to entertain guests than with some good ‘ol magic tricks?! Ask the magician to perform for a certain amount of time to all the guests, or consider hiring a few street magicians (think David Blaine) to mingle with guests and blow their minds in smaller groups. Remember the scene in Dirty Dancing when the professional dancers were hired to mingle and dance with guests? Well, that could happen at your very own cocktail party! Not only will this get your guests in the mood to dance all night long, they also will receive a brief dance lesson from a professional – nobody will be leaving baby in the corner after that! Don’t forget that the cocktail hour should be a fun hour for guests to socialize and to get the reception’s festivities underway. Whether you use one of the above ideas or get creative with one of your own, your cocktail hour is sure to be a positive prelude to the rest of your wedding day.